As Posted on the EFF website. The EFF notes with grave concern the political developments in the Republic of Zambia, under the leadership of President Edgar Lungu. 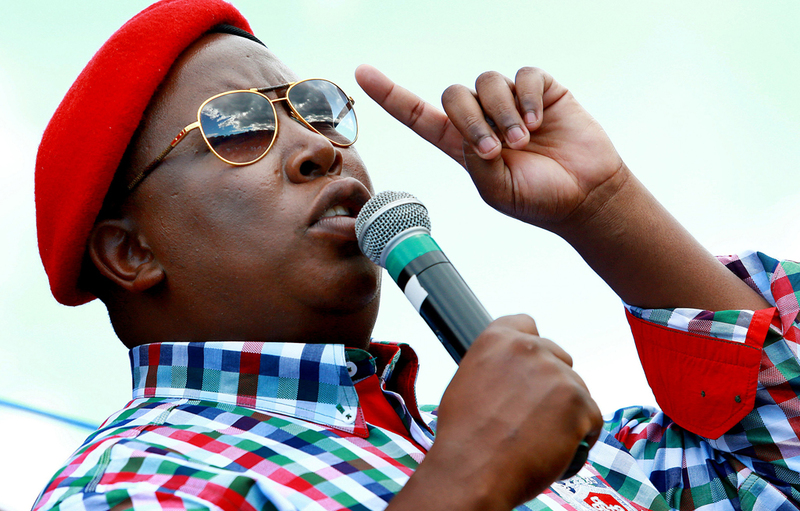 The EFF further notes the growing dictatorship and political intolerance. The EFF, in the past correctly recognized that the people of Zambia, through peaceful elections chose President Edgar Lungu, whom through political tolerance and harmonious contestation of ideas was able to lead an effective campaign. Political intolerance often reflects political parties that are terrified of political contestation. And the EFF had confidence in President Lungu when he had made progressive and admirable decisions to work with members of opposition party when elected in office to transform social circumstances and economic emancipation of people of Zambia. As a result, we view the growing dictatorship and political intolerance as regrettable and unfortunate. The arrest and detention of Mr. Hakainde Hichilema, opposition leader of United Party for National Development (UPND) for over 90 days without hearing is a clear sign emerging dictatorial tendencies, breakdown in rule of law, abuse of judicial and legislative institutions and human rights abuse. It is through this process that President Lungu is able to breed a culture of intolerance, brutal attacks on political opposition parties, judicial killings and suppression of media freedom. The EFF will never tolerate political arrest and intolerance anywhere in the world, regardless of opposing views, particularly opposing views of political orientation. Those that seeks to address political differences through securitisation of political space, abuse of state and unwarranted arrest of opposition parties undermine the spirit of African prosperity. The EFF condemns President Edgar Lungu’s emerging dictatorship and intolerance. If Mr. Lungu wishes to retain any moral gravity and political sensibility to emancipate people of Zambia, he must do the right thing, restore rule of law, desist from abuse of judicial and legislative institutions, call an end to human right abuse particularly state sponsored abuse and all media freedom. The EFF call on the Zambian government to release all political prisoners from opposition, particularly those that are detained for more than 90 days without court hearing. The EFF have written official letters to Parliament of South Africa, African Union (AU), Southern African Development Community (SADC) and Pan African Parliament (PAP) to raise concern over the deteriorating political conditions and developments in Zambia, and to call on all these bodies to condemn these developments.